Residents in St Helens are being urged to be cautious after two reports of rogue traders asking for money. A 75-year-old man was approached by two men at his home in Newton-le-Willows on Monday and told he needed work doing on his chimney. If you think you may have been targeted by this offender or you have suffered any type of bogus official or distraction burglary, I would urge you to call the police. He went to a bank and attempted to withdraw a large amount of money, but was stopped by bank staff and the police were contacted. 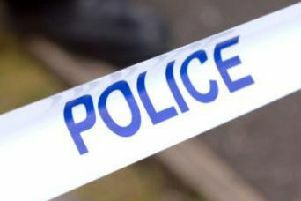 It followed an incident on Sunday, November 20 when an 82-year-old man, who also lives in Newton-le-Willows, was approached by two men who said he owed them £100 for work they had done to his house. The pensioner recognised the men as having previously done work for him, but said he had not asked for further work to be carried out. When he said he had no money in the house, they offered to drive him to the bank in their van or call him a taxi. They then said they would take £80 from him and returned to his house on two occasions but the man did not answer the door. The van was reported to be a white, open back van, with ladders on it but no signage on the side. One of the men was described as being white, in his early 20s, of large build, with brown hair. He was wearing a bright green contractor’s jacket and jeans. The second man was in his mid 30s, stocky build with light brown curly hair and wearing a bright green contractor’s jacket. Nothing was taken during either incident and an investigation is ongoing to trace the two men. It is believed the same individuals were involved in both offences. Det Insp Cath Haggerty said: “Offenders like this think nothing of deliberately targeting elderly people in their own homes and often appear entirely plausible. “If you think you may have been targeted by this offender or you have suffered any type of bogus official or distraction burglary, I would urge you to call the police. “It is vital people are on their guard against these types of offenders and do not open their door to anyone they don’t know. Although most people who call at your home are genuine, some are not and it is important to check the identity of any stranger who calls. Genuine callers will not mind waiting and should be carrying an official form of identification associated with their employment. “There are some simple steps people can take to help prevent these types of crimes, but I’d also urge residents to look out for elderly or vulnerable neighbours. If you notice someone suspicious in the area, call the police or contact your local neighbourhood policing team for more advice. Anyone with information about the incident is asked to call Merseyside Police on 101 or Crimestoppers, anonymously, on 0800 555 111.